Speaking out for those who can not speak for themselves is what D’Arcy’s Animal Rescue Centre is all about. If you’ve ever met D’Arcy Johnston, you would know him to be a humble man with a huge heart. How else would you describe someone who started a pet rescue centre in his own basement, and transformed it from humble beginnings to the registered Charity is is today? D’Arcy’s A.R.C. budget of approximately $500,000 per year is made up entirely of donations by private individuals and companies or all sizes. No government handouts or tax dollars going here (unless you count the fact that all donations over $10 are tax-deductible, which is a nice feature). D’Arcy Johnston recently announced a capital expansion project, the “iBarc for Darcy’s ARC” campaign, which will see the shelter become the LARGEST FOR-LIFE SHELTER IN CANADA . Despite the seemingly large budget, it does not take a lot to get involved. .“Can you pledge 55 cents a day?”, D’Arcy asked the crowd of 500 supporters at the Annual Pawsta Dinner Fundraiser. Call up the Shelter and see if they need help. If you love animals, you’ll find this a very rewarding experience. With between 150-200 cats and dogs (yes, puppies and kittens too) under their care, you’re sure to find a pet to match your personality. 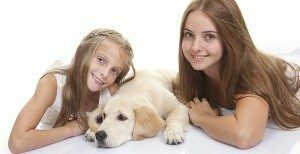 In fact, D’arcy’s staff will help with that, to make sure that your pet is the right choice for you and your lifestyle. A well-stocked store, which is about to expand even more, means that you’ll find all the best pet foods, toys and other supplies right at D’Arcy’s A.R.C. And of course, all the profits go right back into feeding, treating and caring for our furry four-legged friends. Got any loose Canadian Tire Money (or even money on the Canadian Tire Cards)? D’arcy’s appreciates these, because they go a long way to purchasing some of the supplies they need to keep the shelter running. Drop off any Canadian Tire money right at D’Arcy’s Shelter. On Facebook? Simply like their page by going here. It will make it easier to learn about their fundraisers, and be notified if/when they need special supplies, such as #8. It takes a lot of cleaning supplies, bleach, newsprint, food and toys to keep 150 pets happy, healthy and clean. Every once in a while, D’Arcy’s runs out, and they can always use a good supply of these items. Did you know that many of the so-called “Thrift Stores” only donate a small portion of their profits to charity? With D’arcy’s two Thrift stores, 100% of the profits go right back into running the animal rescue centre. 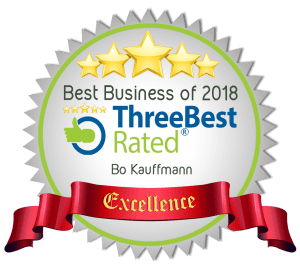 Find out more about the stores by going here. One of our friends, Joanne Rempel from Colors, Beauty and Wellness, has a ‘Casual Day’, where employees can dress more casually than normal. However, they have to pay for the privilege by paying a small amount of cash. Joanne then collects this and donates it to D’Arcy’s. My electrician, Andre Mager of T&A Electric, holds a Customer Appreciation Event, and via Silent Auctions and other fundraising ideas, managed to raise about $1,000 for D’Arcy’s Shelter. Get your employees and customers involved, you’ll find that animal charity is a heart-warming and easily supported cause. 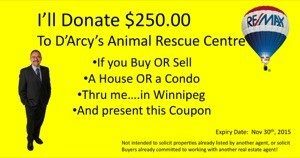 For a limited time (til Nov 30th 2016) buy or sell a home (house or condo) in Winnipeg with me, and I’ll donate $250.00 for EACH transaction, to D’Arcy’s. Rules: You have to mention this article. This offer is not intended to solicit properties already listed with agents, or buyers already committed to working with other agents. But private sellers are always welcome to switch. Can you think of other ways to support your local pet shelter? Can you think of another way to help this great local pet rescue centre? I think D’Arcy is doing great job! I would like to donate few bucks according to my capability and will adopt a puppy for my niece on her birthday next month. God bless them. And yes I just liked their FB page! Good to know! I will start to support the local pet rescue center.